We all know summers in Washington, DC are hot-- and can be dangerously so to those who work outside. We all know Washington summers are hot - and can be dangerously so to workers. Workers who earn their living outdoors, on construction sites, and those who work around machinery and in confined spaces, such as mechanics, steamfitters and plumbers can be at risk for heat stress. 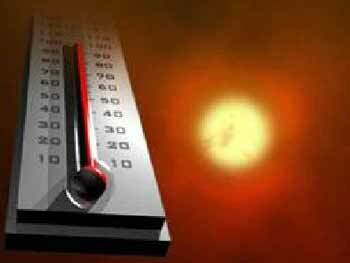 Heart disease, high blood pressure and some medications may increase the risk of heat stress. What is heat stress? Its heat stroke, heat exhaustion, heat syncope, heat cramps and heat rash. The most serious classification is heat stroke, which can cause death or permanent injury and disability if not treated. According to the Centers for Disease Control symptoms include hot, dry skin without sweating, hallucinations, chills, headache, high body temperature confusion or dizziness and slurred speech. If a co-worker shows these signs, the CDC recommends calling 911 and moving the injured worker to a cool, shaded area, and cooling the worker by showering or spraying them with water, soaking their clothes, or fanning them. The CDC recommends workers take precautions against heat stress, such as wearing light loose fitting clothing, drink ing water frequently and scheduling heavy work for the coolest part of the day. A worker injured due to heat stroke or heat stress on the job should notify his supervisor as soon as possible. Injured workers are entitled to workers compensation benefits in D.C. as long as the heat stress or heat stroke was related to their job.